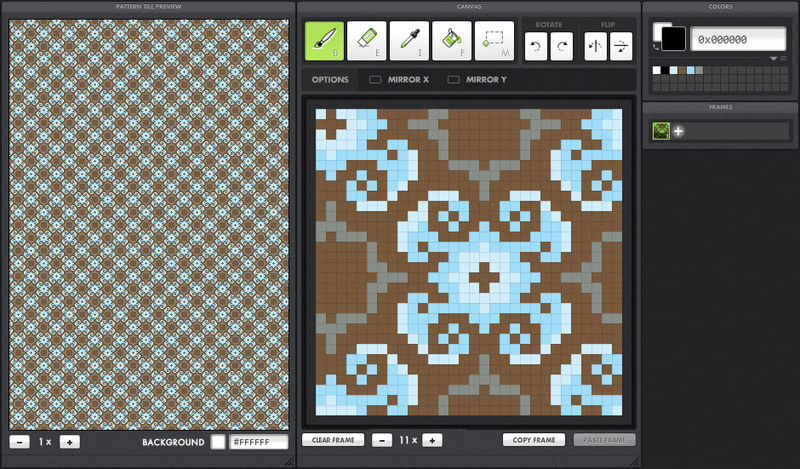 Pickle’s live previews of animations, game terrain, and seamless patterns update in real time as you edit. 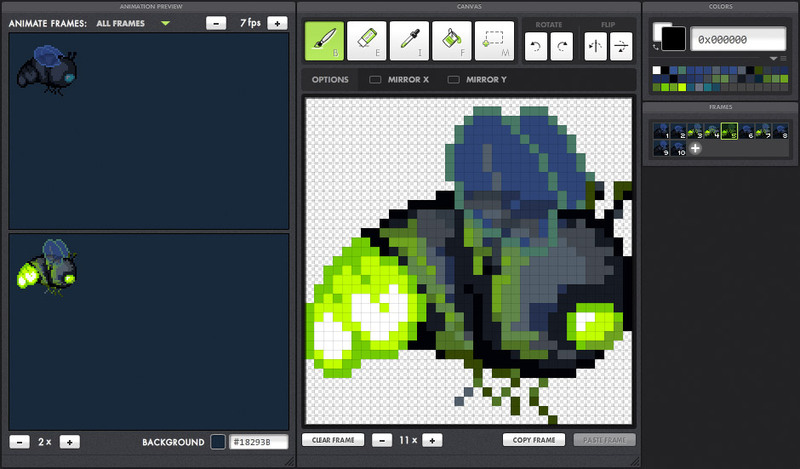 Use the arrow keys on your keyboard to nudge the current frame on your canvas one pixel at a time. The image will wrap around, helping to reveal hard edges or misaligned patterns in your seamless tiles. 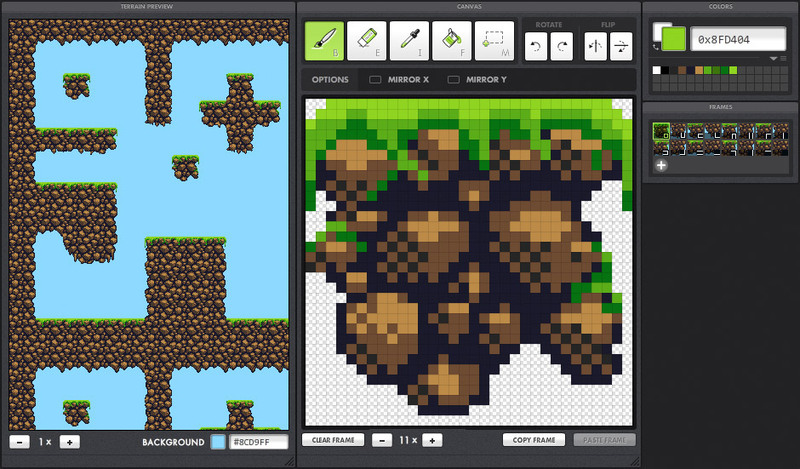 You can import sprite sheets created in Photoshop or other graphic editing applications and edit them in Pickle. Set the tile width and height and Pickle will automatically create separate frames for your animation or terrain preview. Go full screen and maximize your working area. Resize and arrange panels to suit your working style. No more cramped, constrained canvas area. Resize the panel to make it as large as you like. Save your in-progress sprites using Pickle’s new document format. Pickle documents save animation and frame settings, along with the document color palette. 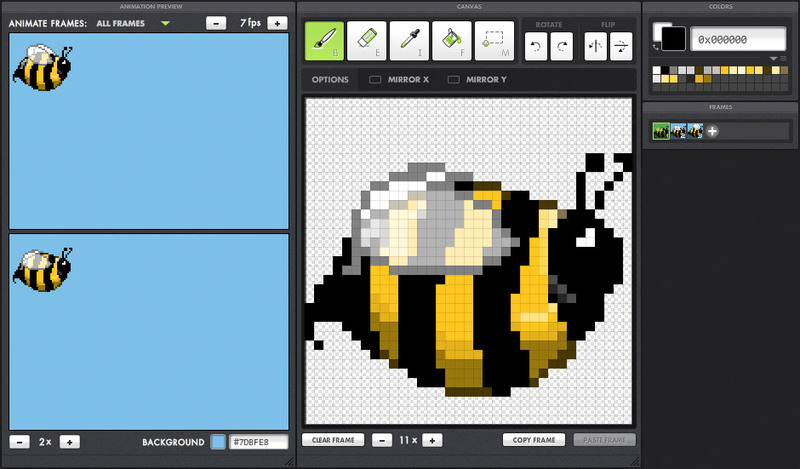 Use the marquee tool to select areas of your drawing to move, fill or delete. Add or subtract from selection areas with the Shift and Alt/Option keys. Draw symmetrically across the X or Y axis (or both). Mirrored drawing is helpful for drawing symmetrical elements like faces. I can’t wait to see what you’ll make.